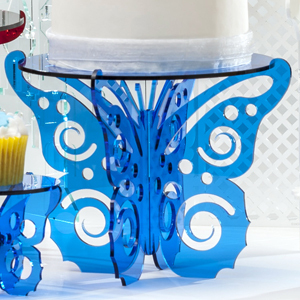 This darling cupcake stand is perfect for individual place settings to hold one generous cupcake or any sweet treat. 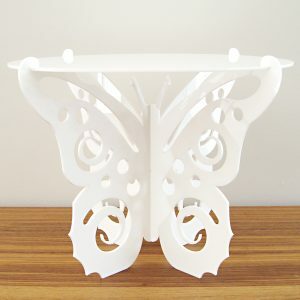 This darling butterfly cupcake stand is perfect for individual place settings. 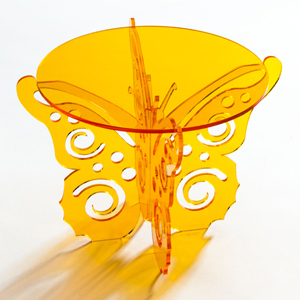 Designed to coordinate with the larger Flutter-by Butterfly, use this piece to complete your table. 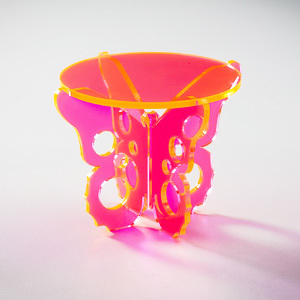 Even the simplest of cupcakes will become fantastical creations with the aid of the Teeny Tiny Flutter-by Butterfly. Available in any of our 15 stocked colours, it will hold one generous cupcake or any sweet treat of your choosing. 10.1cm wide x 7.5cm high.